A complete course on drawing animals, packed with instruction and profusely illustrated. 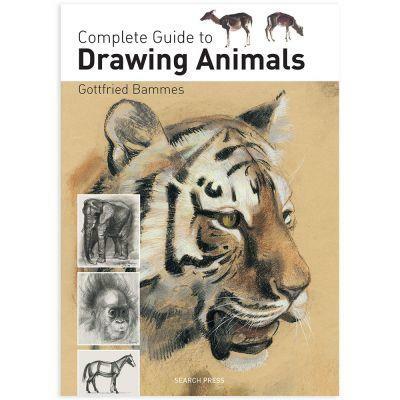 This fantastic book is all you need if you want to start drawing animals, or if you want to develop your drawing skills. It is both the ultimate reference book and an inspirational guide, providing expert guidance on all aspects of drawing animals - including size, proportion, perspective, anatomy, skeletal structure and musculature. The book goes into great detail, and provides numerous diagrams as well as drawings in a range of styles and rendered in a variety of different drawing media including pencil, charcoal, pastels and inks. A huge range of animals is included, from dogs, horses and cats to tigers, elephants, camels and apes, so whatever animal you are interested in, this book will enable you to capture its essence down to the last hoof or paw. A complete course, packed with instruction Detailed diagrams with an impressive gallery of finished drawings An inspirational guide with invaluable tips and advice.